The World of Miss Mindy is called the new Cartoon Folk Art. Inspired by 80's Anime Miss Mindy creates gorgeous figurines. Cheshire Cat Vinyl figurine. Colors and details are gorgeous ! 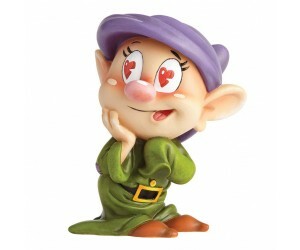 Miss Mindy's Designer Vinyl Collect..
Dopey Figurine. Colors and details are gorgeous ! Made from high quality stone resin. High: 11 cm. Mickey Mouse Vinyl figurine. Colors and details are gorgeous ! Miss Mindy's Designer Vinyl Collect..
Sally Vinyl figurine. Colors and details are gorgeous ! Miss Mindy's Designer Vinyl Collection. H..